SPIE's #FacesofPhotonics is sharing the story of Jonghee Yoon. Jonghee is a Research Associate at the University of Cambridge in Dr. Sarah Bohndiek’s VISIONLab. He is originally from South Korea, and his current research involves using hyperspectral imaging to identify and diagnosis oesophageal cancer. Enjoy the interview with Jonghee. When I was a high-school student, I had a great opportunity to attend a summer camp held in South Korea's Postech University. The camp program introduced various research areas, and provided lab tours to students. One of laboratories I visited was doing biochemical research. The researchers showed me microscopic images of a chicken eggshell captured by scanning electron microscopy. At that time I had no idea about optics and microscopy, but I was hooked on the microscopic images. Since then I have become interested in microscopic imaging and optics. I think that experience placed me in the biomedical optics fields. 2. Explain your current research, and how it can impact society. 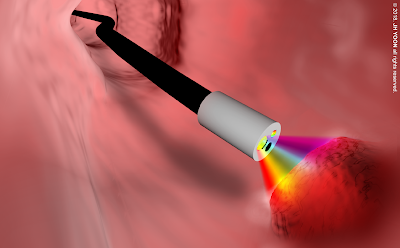 My research is developing a clinically-translatable hyperspectral endoscope for the early diagnosis of oesophageal cancer. Hyperspectral imaging measures both the spatial (morphological) and spectral (biochemical) information of a target, which would enable detection of subtle differences between early lesion and healthy tissues. Currently there are minimal clinically-available hyperspectral endoscopes due to implementation challenges. We are developing a practical hyperspectral endoscope with high spatial and spectral resolution for clinical diagnostic methods. Our ultimate goal is to apply the developed hyperspectral endoscope to clinical applications in Barrett’s oesophagus and osophageal cancer. I believe that hyperspectral endoscopy will improve the diagnostic accuracy of the early cancer detection and patient outcome. 3. What are you most excited to see in the future development of photonics? I would like to see more and more optical imaging technology used in clinical applications of in vivo diagnostics. Optical technologies using visible or near-infrared light have many issues in clinical in vivo applications, mainly due to light scattering and absorption. However, many new optical methods have been developed to overcome these limitations for clinical applications. 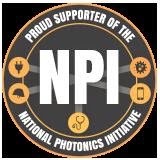 I believe that scientists and engineers will solve many challenges involved in the clinical applications of visible and near-infrared light, and that biomedical optics techniques will play a key role in disease diagnosis and treatment.